The cover letter is an introduction that describes your qualifications and emphasizes how will they fit the employer’s job description. Today you’ll be learning how to write a cover letter. Throughout this article, I’ll help you understand what a cover letter is and the importance of it. We’ll then go through the general format and specific content. Lastly, I’ll cover some big picture dos and don’ts when writing it. So, what is a cover letter? 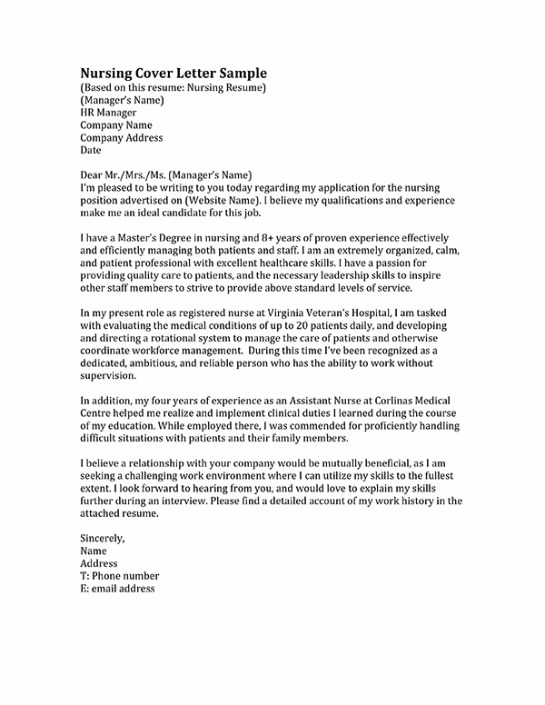 A cover letter is a letter sent alongside your resume to introduce yourself, explain why you are sending in your resume, and provide more information about yourself. This is your opportunity to provide a formal introduction. It is the first read for an employer and is a must with your resume. Even if a cover letter is not specifically requested along with your resume, it is assumed you will include one. A cover letter, written the correct way, will never hurt your chances of being hired. You may be wondering why a cover letter is so important. First, it’s going to help you get an interview. When you are introducing yourself in your cover letter, you get a chance to further explain your interests, qualifications, and abilities. It will help you get noticed and hopefully prompt an employer to look at your resume to learn more about you. 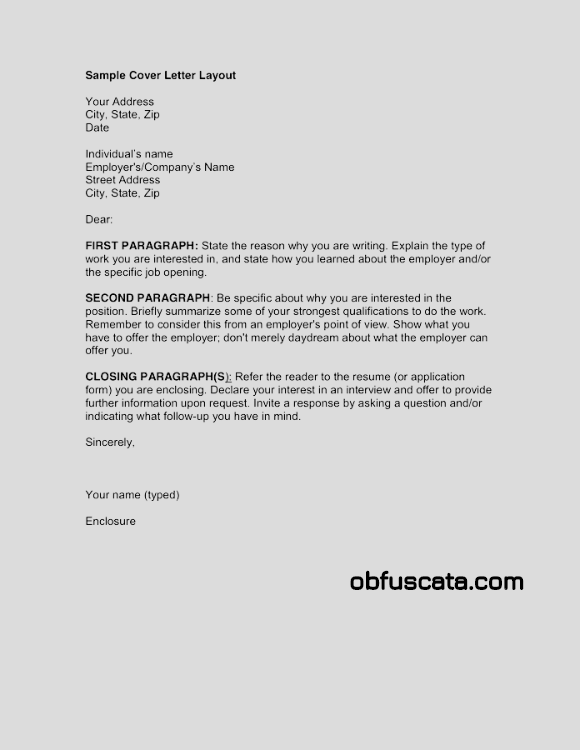 The format of a cover letter is called block style. Block style means that all lines start on the left side of the margin and there are no indentations for each paragraph like you would have when you’re writing an essay for class. Your cover letter should only be one page long. You do not want to overwhelm an employer with too much information. Keeping yourself to writing only one page forces you to stay focused on the specific job and company you’re applying to. Here you can see an example of the format. As I just explained, this example shows all text beginning on the left margin and no indentations for each paragraph. Now that you understand what a cover letter is, why it’s so important, and the basic format, we’ll get into the details of content. 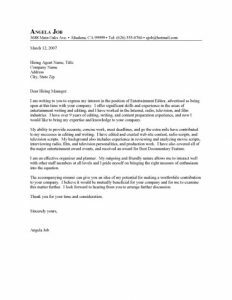 A cover letter consists of two headings, a salutation or greeting, an opening, middle, and closing paragraph, and then finally, your signature and enclosure. To further explain, let’s break down the specifics of each. The top of your cover letter consists of two headings. The first of which is your heading, essentially, your contact information. First you’ll want to include your name. You want this to be the first thing an employer sees, so make the text size larger than the rest. Next you’ll have your address, including city, state, and zip code. You’ll want to include the address you are currently residing and checking your mail at. You also will list your phone number. Since you may not always be available to answer your phone, please double check your voicemail greeting to be sure it’s professional. Your email address. It’s recommended to use your GCC email; however, you can use your personal account, as long as it is appropriate. Lastly, if you’d like to get creative with your header, you can add extra information such as the URL to your LinkedIn profile or a list of your top 5 strengths from StrengthsQuest. Items like this might give an employer a little bit more information about you to make you stand out. Here is an example of what a heading looks like. You can see the name is larger and it lists all the correct contact information. It’s important to note that your heading does not need to look exactly like this one. This is a sample. It is not a template. Feel free to adjust your heading to how you prefer it. You can have your name on the left hand side, or in italics, or underlined. Your address can be on a different line than your email and phone number. The line here is not necessary, or you can make it a dotted line. There are many stylistic changes you can make and I encourage you to do so. 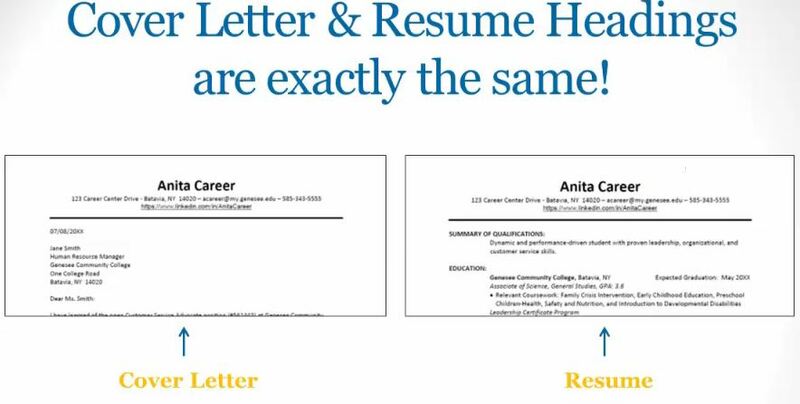 The heading you use on your cover letter should be exactly the same as the heading you use on your resume. As you can see here, they line up perfectly. This is called branding. It shows consistency in your documents. Your heading is then followed by a company heading. Before you begin adding in the company heading, you should always include the date. This is the date that you are sending the letter, not necessarily the date you are writing it. The company heading then consists of first the name of the employer and the job title of that employer. When deciding who to list as the name of the employer, check the job posting for a contact person. If no one is listed, feel free to call the company and ask who the point of contact is. If you cannot figure out who the contact is, you can skip including that information. Below the name of the employer, you list the name of the company, followed by their address, including city, state and zip code. After the company heading, you should leave one space and then add in the salutation or greeting. The preferred way to write your salutation is by using the name of the employer. You can use Dear Mr., Mrs., Ms., or Dr., whichever is appropriate. Be sure you use the correct one. For example, myself, Jamie Edwards, could easily be a guy’s name. You want to be sure you do not write Mr. to a Ms. or not write Dr. if it is appropriate. If you’re unsure of the correct salutation, you can use an alternate option of either simply writing “attention” followed by the name of the employer or stating “Dear Hiring Manager”. This is a very default greeting that does not show much concern for who is reading your letter. Here you can see an example of both headings together followed by the salutation. The date is after your heading, but before the company heading. You can see the name of the employer, their job title, and then the company name and address. There is a space here, and then the salutation, which ends with a colon, not a comma. 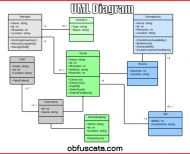 Webpage (external or internal), referred by…, radio, LinkedIn, newspaper, etc. 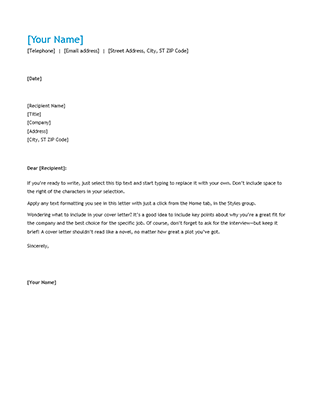 So now you can begin writing the actual letter portion of the cover letter. You will begin with your opening paragraph. In this paragraph, you’ll state the position you are applying for and & where you learned of the position. You may have found the job posting on the company’s webpage or external website such as indeed.com. In some cases, you may have been referred by a current employee at the company. If that is true, you can include the current employee’s name. Other examples are the radio, LinkedIn, newspaper, or elsewhere. Before finishing your opening paragraph, you’ll also add an expression of your interest for the position. This should be a brief introduction of who you are, what you’re currently studying, or where you’re currently working followed by why you are applying to the position. Here is an example of what the opening paragraph might look like. You can see the position this person is applying for is listing and where the job posting was found. They then state what they are currently studying and why they’re interested in the position. 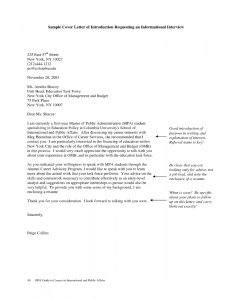 Your middle paragraph is the toughest part of your cover letter. Before you can begin writing this section, you much research the company. The easiest way to do this is to google them. Go to their specific website and read their about us section or any information they have on the company. It’s also helpful to read any news articles on the company to see if there’s something worth noting. The reason for doing the research is because you really want your cover letter to focus on the employer. You do not want to bore the reader with reiterating your past job titles and job responsibilities; they can read about those on your resume. You really want to explain how your skills and qualifications match the specific job requirements. Use the job posting for this. Read through what will be required in the position and pull out a task you know you either have the experience or the education in order to complete it. Write that explicitly. You should do this at least twice, with detailed examples of past work. 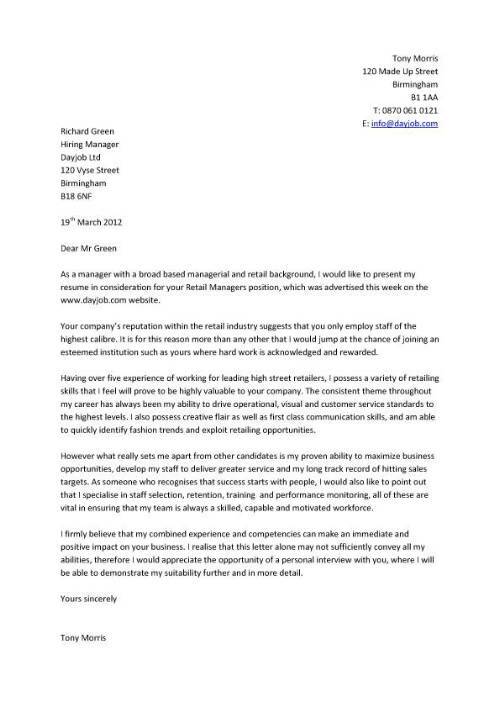 You will then end your middle paragraph with showing the employer that you really would love this job. You can do this by stating how your values, skills, or abilities align with the company’s mission, vision, or values. You can take this information right from their website. This is your chance to state why you would want to work for this company and really sell them on it. You could also go the route of stating why you are so passionate about the specific job. Explain what makes you so interested in the position and why this job posting stood out to you. Instead of simply stating in the cover letter that their past experience and education have provided them the ability to provide phone support to 50-70 callers a day, the writer got specific. “My attendance at the conflict resolution, stress management, time management, time management, and communication skills workshops along with my listening skills gained from waitressing, will benefit me as I provide phone support to 50-70 callers a day.” They matched something they’ve done in their past that proves that they can complete a job duty for the position they’re applying for. In the last sentence, you can see that they are quoting a values statement form the company’s website to show they did a little research and are interested in the company. The closing paragraph is fairly simple. You begin by restating your interest in the position. Then, state your interest in an interview. You’ll also want to restate your contact information even though it’s written in your heading. Include an action informing the employer of your next steps or how you plan to follow-up. Will you be calling the company, sending an email, or waiting to hear from them? Be sure whatever you state, you follow through with. Lastly thank them for their time. Its importance to recognize the amount of time it takes employers to review applicants. You can read through this example closing paragraph at your leisure. It is very simple and to the point. The last part of your cover letter is your signature. For your closing, use a professional sign off such as, yours truly, sincerely, or respectfully. You’ll then leave a space to SIGN your name. When turning in your cover letter electronically, you should scan a signature to your computer and paste it onto your cover letter. When handing your cover letter to someone, it should be hand signed with the same color ink as your text. Following the space you left for your signature, you will print, or type, your name. Let’s talk some general do’s of a cover letter. You absolutely must customize each letter. If you can use the same cover letter for two different job postings, it’s not a good enough cover letter. Check your grammar and spelling. Small errors can make a big difference when comparing two like candidates. One mistake can put you in the don’t hire pile. Use standard fonts such as Arial, Times New Roman, Calibri, or others. Do not use very artsy fonts such as comic sans. Using font size 10-12 is typically good. Any smaller will be difficult to read and any larger with look funny. Cover letters are single spaced. Print on quality, white or off-white paper. There is paper called resume paper. I would suggest purchasing some for when you’re submitting resumes and cover letters in person or bringing them to an interview. However, most of the time, you’re submitting online. In that case you should save your cover letter as a .PDF. This eliminates the chances of track changes and red marks showing up when the employer opens the file. .PDFs keep the formatting consistent. Using keywords throughout your cover letter will help you stand out to an employer. Keywords are words that are commonly used in the field you’re applying to. A simple way to identify them is from the job description. If you’re reading through the job description and still aren’t sure which words are keywords, here’s a helpful tool. It’s called wordle.net. Wordle creates word clouds, like this one. Word clouds are essentially words that all revolve around the same topic. To make this tool help you, you should find about 3 job descriptions from different companies all for the same job title. 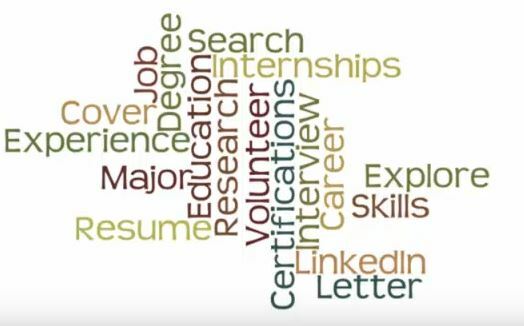 Copy and paste the job descriptions into wordle.net. Wordle will then pull the most commonly used words in that body of text and create a word cloud. You will then have a list of words that are used in the field you’re applying to. Take those words and integrate them into your cover letter. It’s also important to use key phrases. Using action or results-oriented language is helpful. Words like increased, reduced, implemented, designed or created. You should also include skill-related language, such as wrote, planned, enabled or built. Another key phrase would be recognition-related language, such as honored, awarded, promoted, selected or credited. Using phrases such as these helps clarify what you’ve accomplished or learned. There are also a few don’ts you should be aware of. Be afraid to ask for help! Don’t use slang. Stick to sounding professional. Don’t send without proofing. Like I said before, one error can put you in the do not hire pile. Do not send a generic letter. The more specific you are to the posting and company, the better off you’ll be. Do not send your letter with wrong contact information. Sometimes if you are working from an older cover letter you’ve written, you forget to change the name of the employer, company, or job you’re applying for. This is a terrible mistake to make. Keep your cover letter to one page. You really don’t want to make it too short where it doesn’t look like you have the experience or interest or too long so it looks overwhelming to read. And of course, don’t be afraid to ask for help. If you look for suitable customer service cover letter you just find our web site. We create excellent templates just for you. Don’t miss the opportunity. 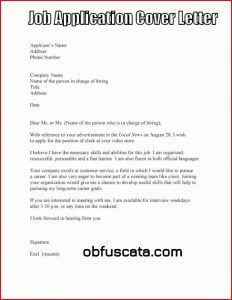 If you think about customer service jobs, of course you should apply to the determined corporations but they firstly will read about your customer service cover letter. 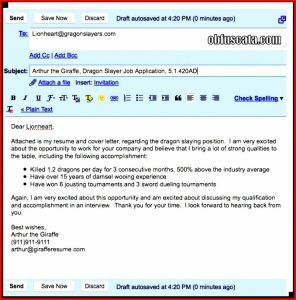 Every cover letter is unique so you need to focus your abilities and experiences are related to job expectations. Important thing is you reflect all of them correctly in your cover letter. This requires obeying the some rule and knowledge about writing styles. 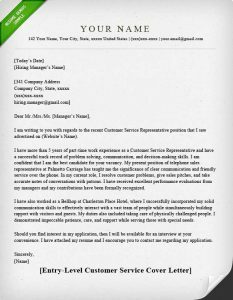 If you search our customer service cover letter examples, may be you will find exactly what are you looking for or this examples can give you important ideas about how can your style be. We wait for you to teach. You simply can access our web site. 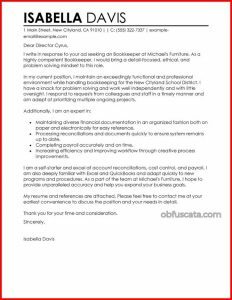 We create a cover letter just for you. Our ingredients give you perfect idea about how do you handle this. 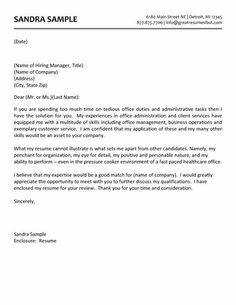 Cover letter actually is a document that contains your skills, your background and you should write this with brief explanations. Creating effective cover letter is a hard job and you need to learn the rules about how should you write. We completely focus helping to you for this topic and we present a lot of layout, you just determine your purpose and search that is suitable for you. 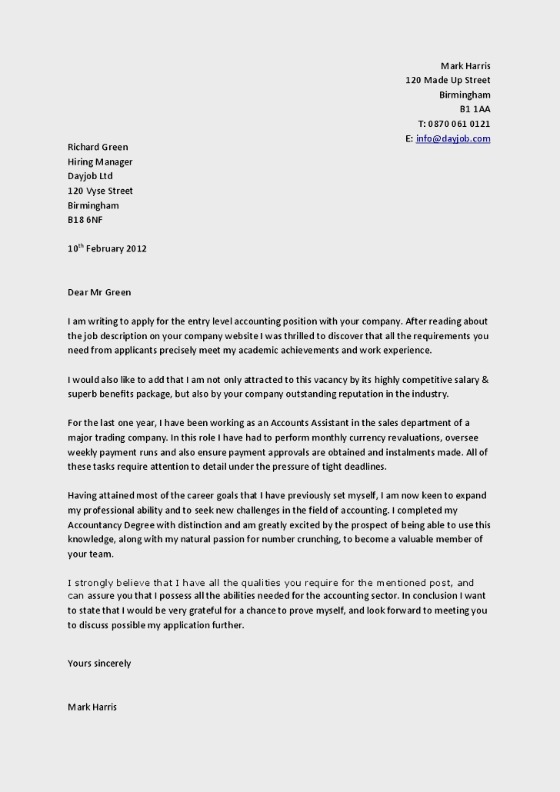 As you know, cover letters are too important nowadays and it is used in the lot of situations. Like a first impression because if you apply to the any corporation they firstly will read your cover letter and this give them important ideas about you. All you have to do look our web page. We want to help you for preparing basic cover letter and we wish to be successful. 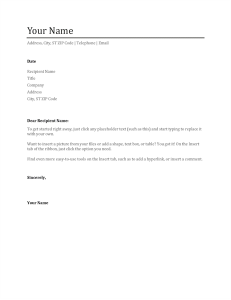 All we have asked investigate our examples and make your own cover letter. Cover letters are used for many different purposes but some of them are appear during the lot of situations. For example you want to gain specific positions in the a company and you send your cv to the responsible but firstly your cover letter is investigated, it can give a lot of information about you and it determine their opinions about do you have skills to do this specific job so you need to determine your writing style, information that you want to give them. 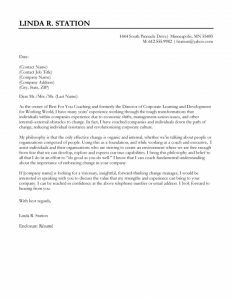 For these purposes, we work to help to the people about effective cover letters and we share a lot of cover letter examples. We want from you, look into our web page. 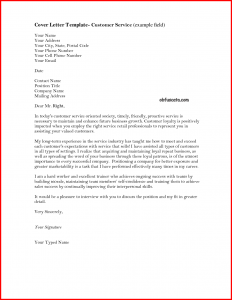 As everyone knows a well-made cover letter is the first step of the successful business life. 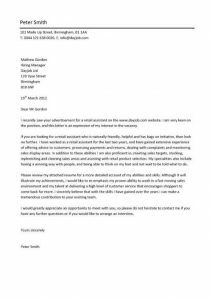 If you have a good cover letter, your resume is the more attractive than others especially it is important that you are working in IT sector. 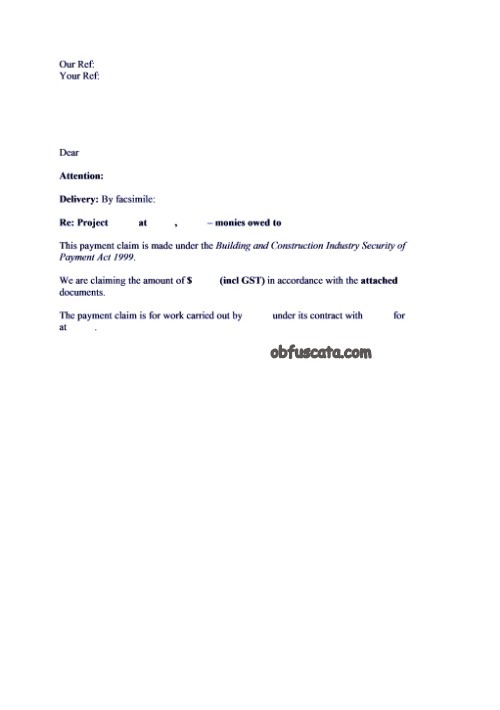 To build a Professional IT cover letter is not diffucult. 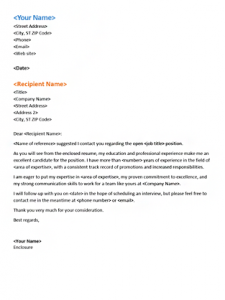 You can build a professional IT cover letter easily within minutes. Also it is completily free. 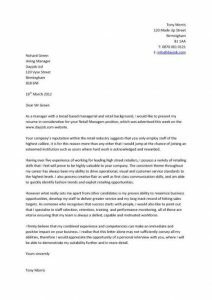 You can build a stylish cover letter with using in pre-prepared IT cover letter templates that especially suitable for you. It is the best site on the internet that you can find most option. 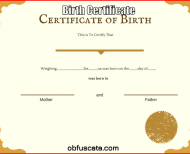 You can choose freely in various templates. 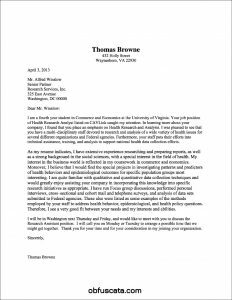 You do not waste your time to create a atrractive cover letter. Appliying a job a cover letter which is sent or posted with a CV or resume is a job seeker’s first opportunity to influence an employer . It does not only support CV but also it influences the employer to select you among other job applicants. 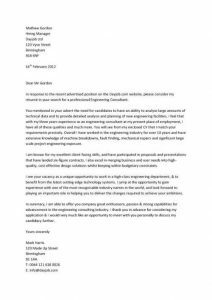 In our site we have arranged sample cover letter for you to inspire when you configure your cover letter. 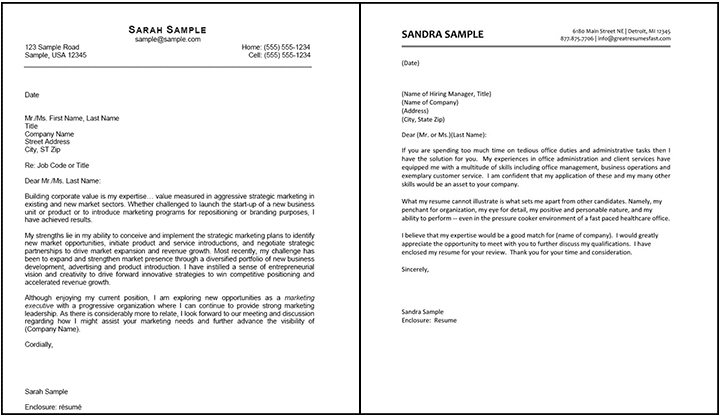 You can get ideas from ready samples and save time when you decide to arrange a cover letter. 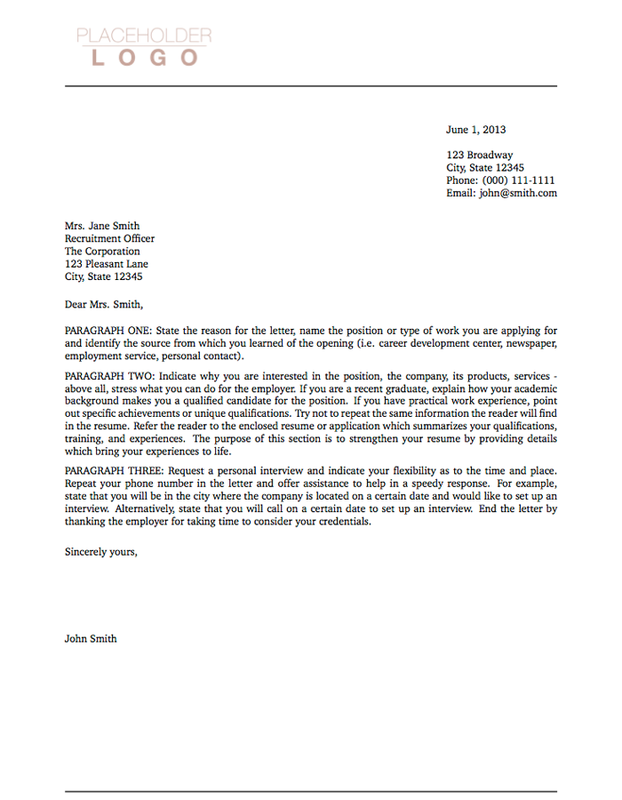 By examining cover letter samples in our site you will have an idea how an ideal cover letter should be. 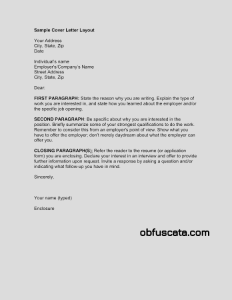 To be selected by employer for your job applicant , you need a perfect cover letter . The perfectly arranged cover letter samples in our site can give you idea you need to configure an effective cover letter to influence the manager and help you get the job. 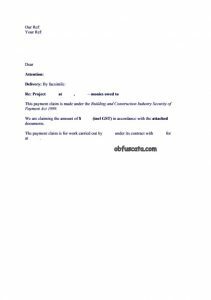 In our site on cover letter samples you can edit informations according to your job experinces and educational informations. Using cover letter template will accelerate your applying process by saving time . 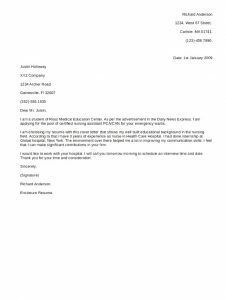 You can find lots of covver letter samples in our site in that way you will see how a well prepared cover letter must be. Writing an e-mail has been fundamental for our lives. We need to write e-mail for our job or other issues. And because of the fact that everything has been electronical, we have been using e-mail more. However, sometimes we do not have find time even to write e-mail. Life has so speed and we do not want to spent time to write e-mail repeatedly. There is really best and easiest way to write e-mail anymore. Thanks to e-mail cover letter on our website, you can use prepared e-mail and you do not have spent time unnecessarily. 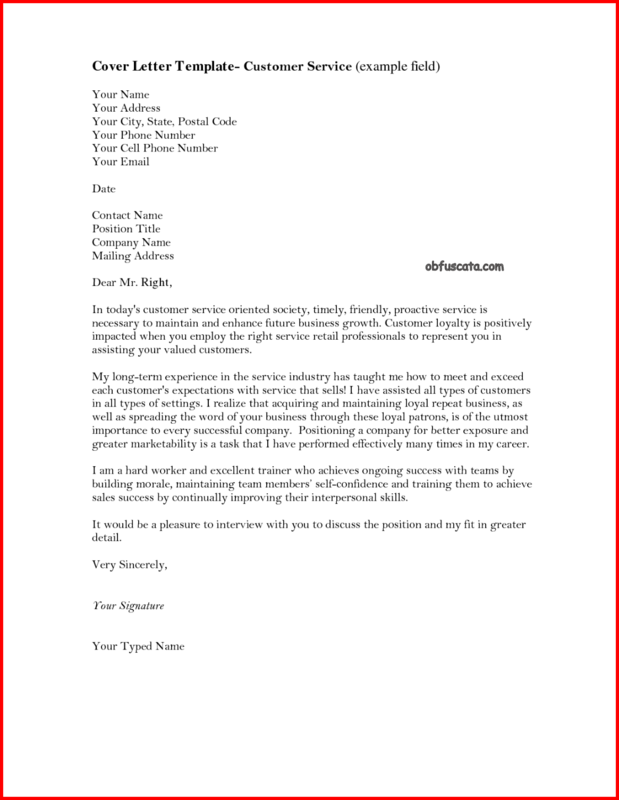 The website presents you e-mail cover letter freely so that you can write your e-mail that has been ready for you. If you want to get e-mail cover letter , just click to the website and benefit from it. 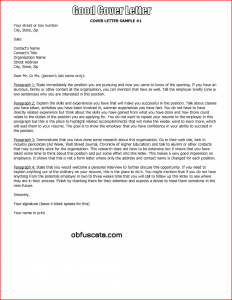 Cover letter template is very important written communication that serves to introduce you to the employer. For that reason a good cover letter tamplate should complete your resume exactly. 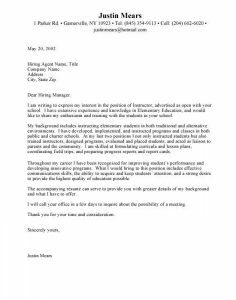 Cover letter is an very effective tool that you can use to create the first impression of your reader. 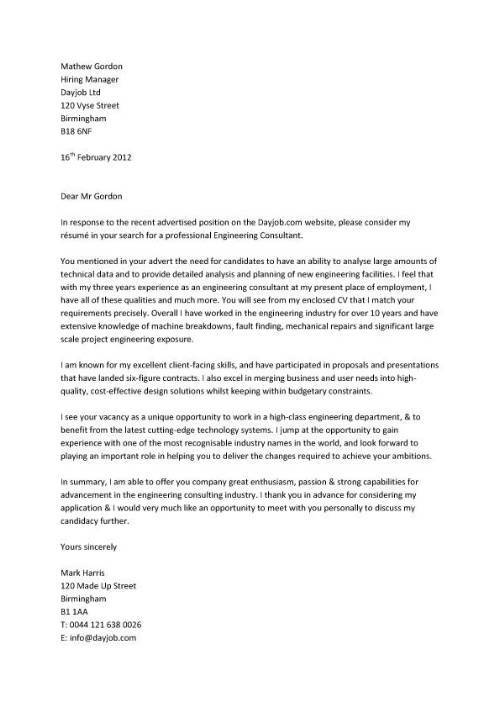 A cover letter is not a short summary of your CV. How you shoud create a cover letter template? 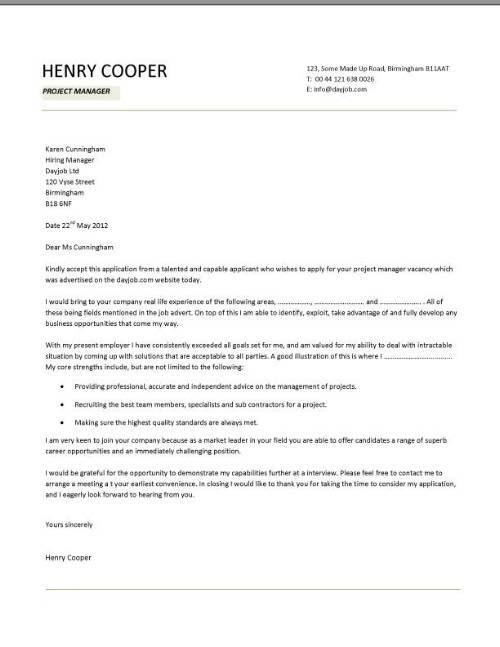 It is suggested that a cover letter template should include introduction, development and conclusion sections. Depending on the company you are appliying to and the positions you are interested in, you can extend each division accordingly. 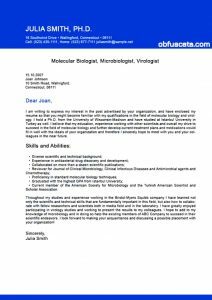 Development section of a cover letter template: You can briefly summarized in this section why you are interested, your achievements and in past work experiences fort his position. You can take readers attention to what kind of impormation about the company. 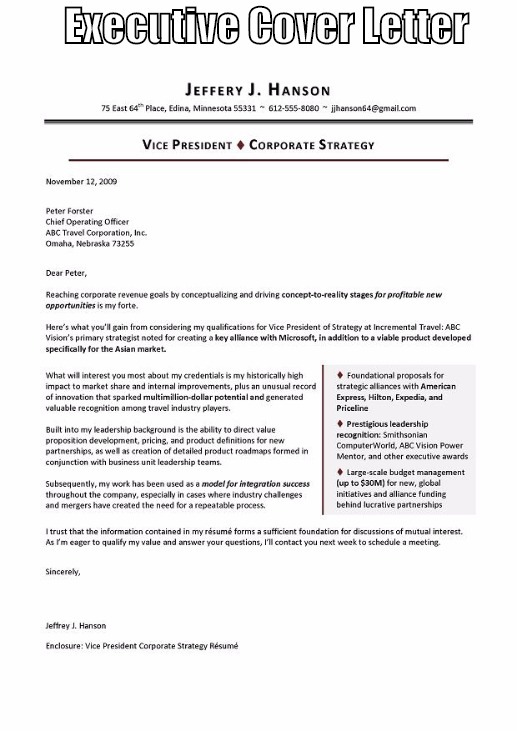 Conclusion section of a cover letter template: In this section, you can inform about your aaplication, what you know about company and the results you want to achive . 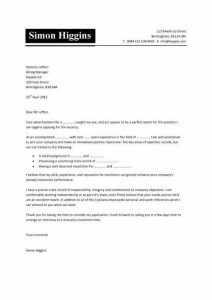 What are important points of a cover letter template? 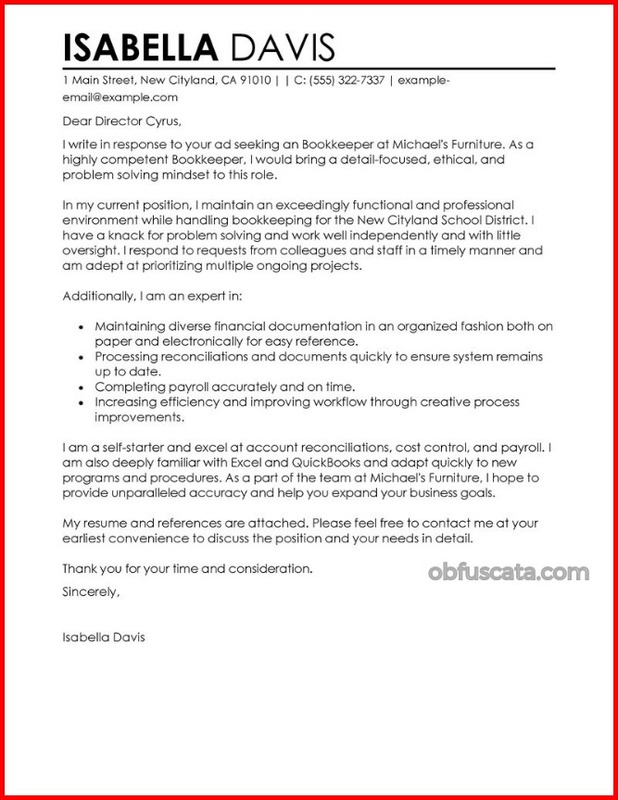 Customize your cover letter according to the target reader and the sector. Talk about what you can do them rather than the company can afford for you. Focus on your career goals. Before sending it, get your friends ideas about your cover letter template. 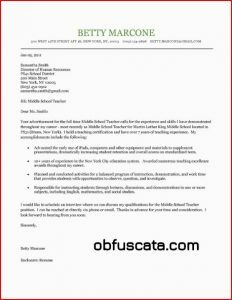 Do you make a job application as a teacher? It would be useful for you to add a cover letter to your CV to highlight your relevant experience and past achievements. 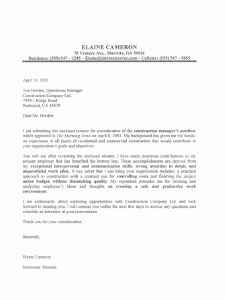 For this reason, examine the cover letter samples prepared separately for each occupational group on our site. This will allow you to see the shortcomings of your letter while giving you an idea. They will give you an idea of the language you want to use. What should be in the cover letters for the teacher? The success of the person should be emphasized. Voluntary work should be emphasized in the cover letter. 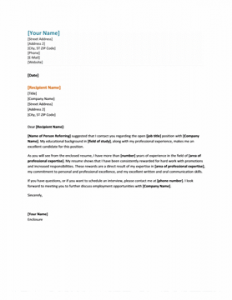 The cover letter should be individualized in accordance with the job announcement. Must be mentioned in the cover letter from the trainings and certifications. 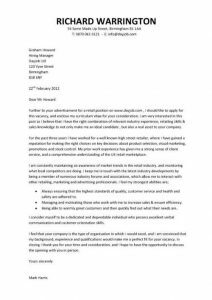 If you are interested in marketing in your career, you can use the appropriate ready-made cover letters for your marketing position. 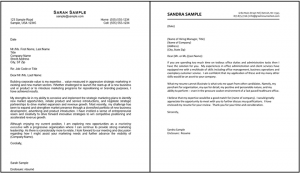 You can get ready-made marketing cover letters free of charge on our site. What are the tips that should be in this marketing cover letter? Start with a template or sample. 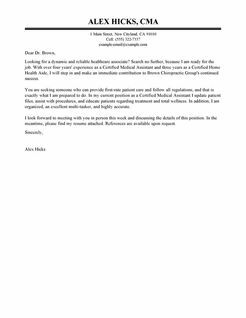 Use the business letter layout. Make sure that you completely regulate your letter. Never repeat your resume. Your cover letter should give clues about your resume, not the same information. Give importance to not having spelling mistakes and complicated information. 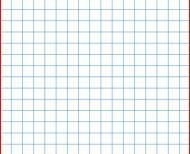 Your letter should be written in a plain, fairly clear way. 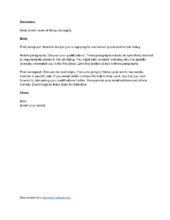 The cover letter layout is very important when writing a cover letter. The layout specifies the way the words are set on the pages, including headings, blanks and font. 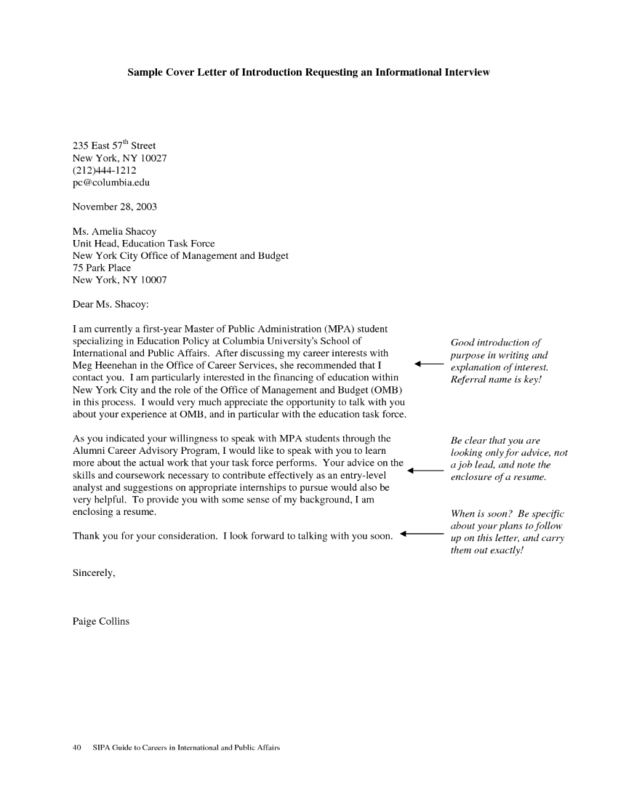 You want to use a layout that makes it easier to read and professionalize your letter. Our site offers this service to you. 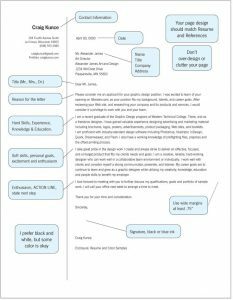 So you can both save time and get an ideal layout for cover letter. The cover letter should be short because it is a letter written by the employer except from the resume, and the reader should not bore the letter. It must be written in plain language and understood easily. 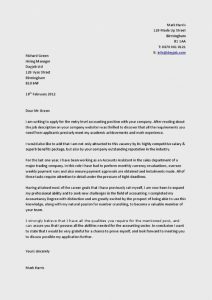 Instead of dealing with such a sensitive detail, you can easily create your ready cover letter template as free from our site. 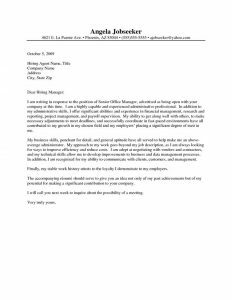 The cover letter gives very important clues about both personality as well as communication skills as a candidate for human resource specialists. 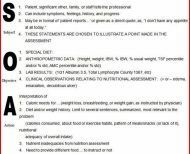 So there are some points to note in the format of the cover letter. The cover letter should be customized as much as possible. It should be written short. Firm and position should be well understood. Request an interview at the end of the letter. These are the things that should be in a cover letter. 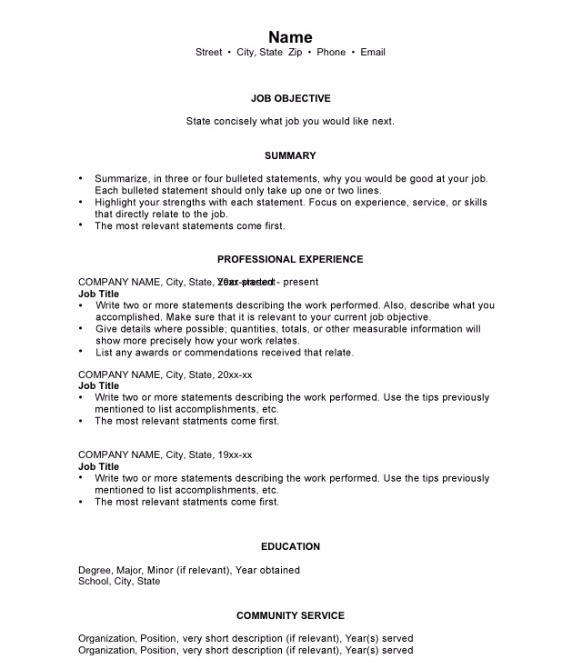 You can save time by using these points in the use of ready CV templates. 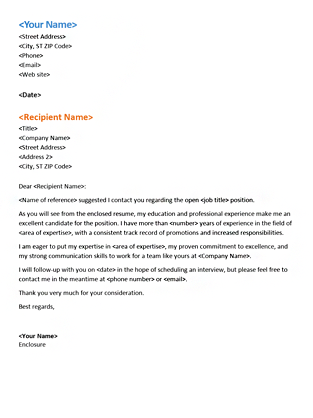 There are ready cover letter templates on our site. 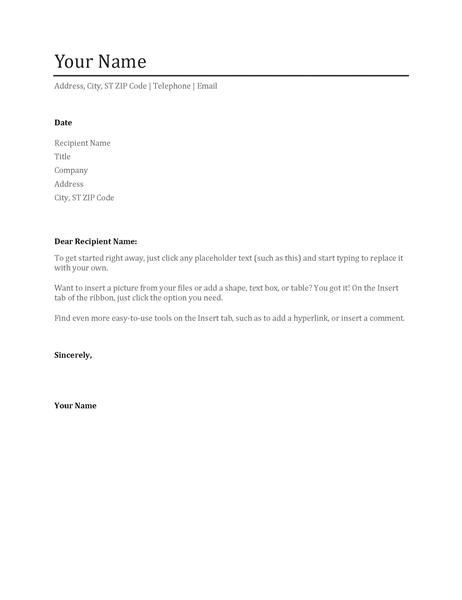 The use of ready CV templates is quite simple. You can edit by yourself. This allows you to save time and provide the ideal Cover letter format. 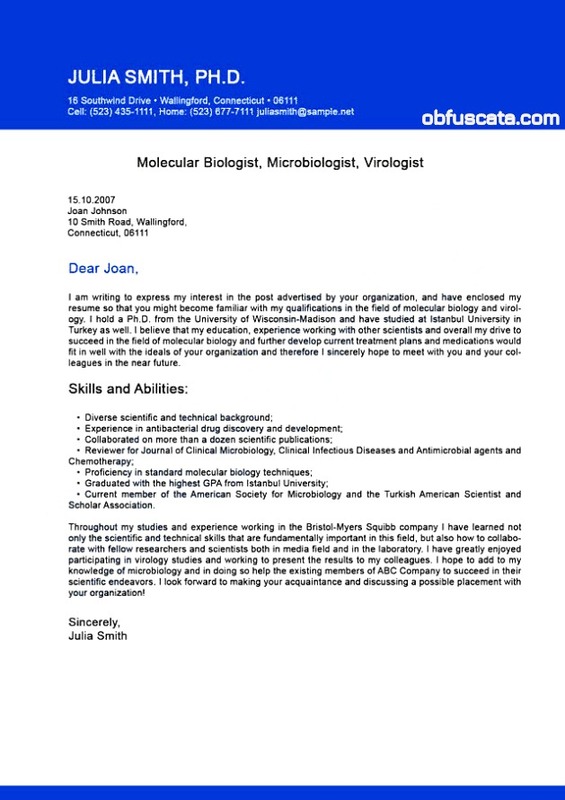 A letter sample can help you by giving you an idea while you create own cover letter. Samples will guide you to what elements you need to attach to your letter, such as introductions and body paragraphs. 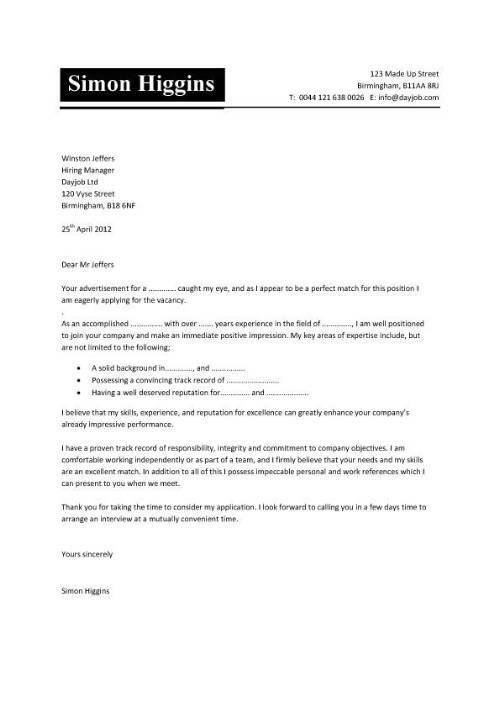 So it’s a good idea for you to get inspired by examining example cover letter for job. You can review the cover letters on our site. By this means, you will always save time while you have an idea about the ready CV templates or cover letter examples. You will also get the impression of a perfect cover letter. At that time you should immediately examine our samples by visiting our site and create your cover letter free of charge. Be different from other candidates. 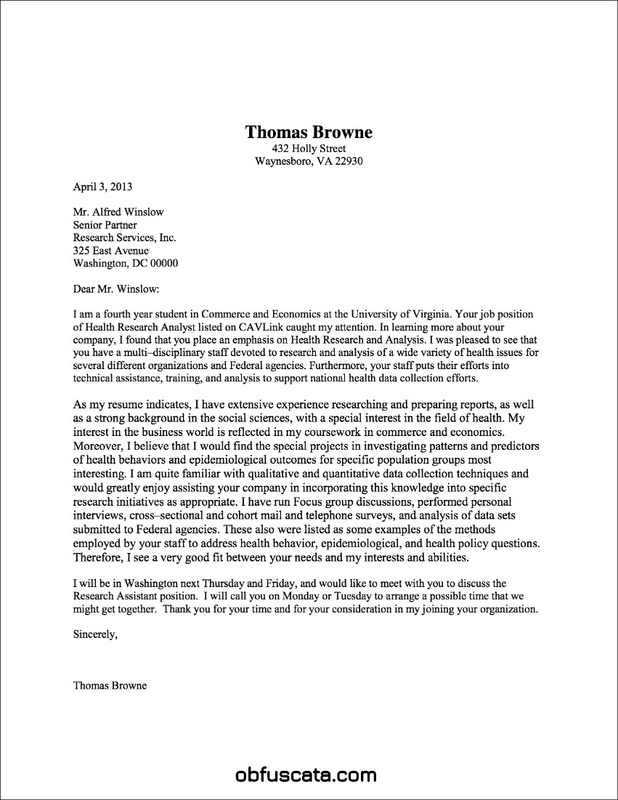 The first draft of the paragraphs of the cover letter outline is below. First paragraph is the purpose paragraph. 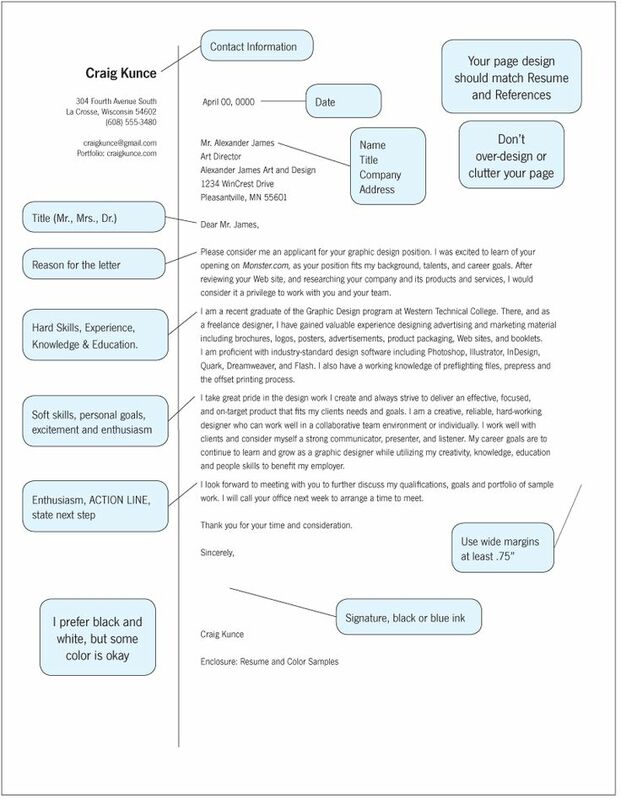 In this paragraph of the cover letter outline, indicate the area you are interested in and why you are writing this cover letter. 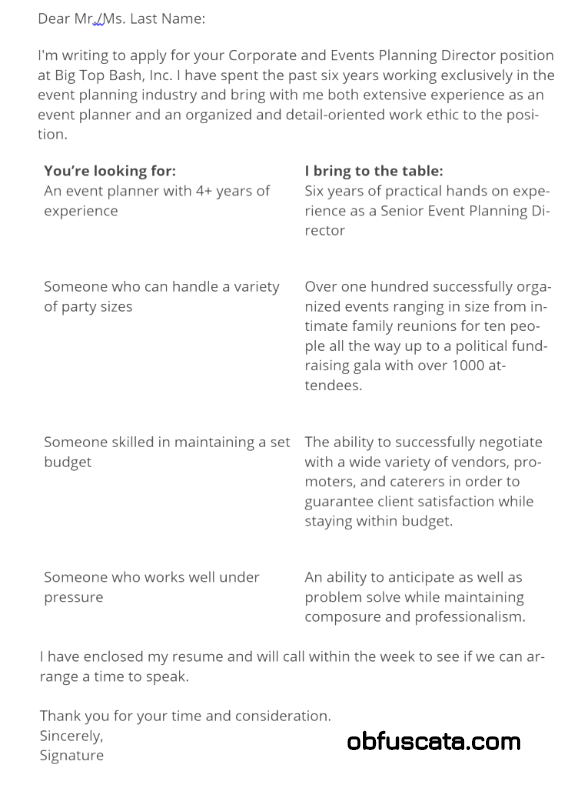 Skills and qualifications are indicated in the second paragraph. Here, offer a closed resume to the employer. Talk about your qualities and skills. Your aim here is to match your abilities to the employer’s needs. Make request for your actions in the third and last paragraph. Briefly mention how your trainings match the position. Indicate that you would like to discuss further with the employer about the position. Lastly, include a declaration expressing your thankfulness for the employer’s thought. 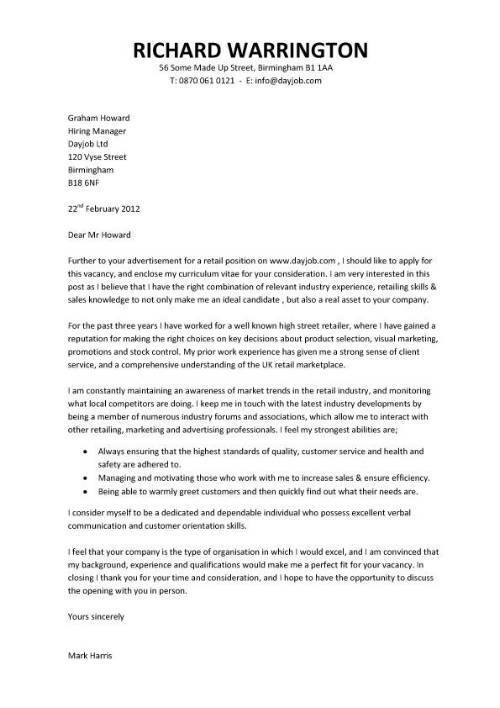 Generic cover letter is always advised to impersonate your letter at your job application target. There are conditions when it is convenient to usage a generic cover letter. Those are generally situations where you cannot send your CV in reply to a job advertisement or to a special employer. 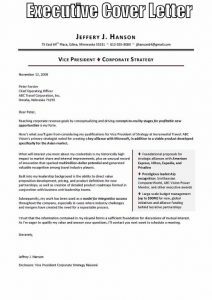 It is important that you customize the cover letter for each business opportunity and each employer to show how you adapt business and company needs. 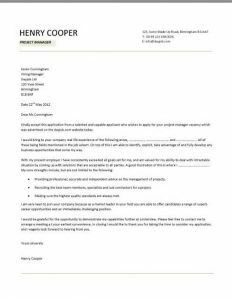 A resume cover page, which is more usually referred to as a cover letter, is a letter sent along with your CV when applied for job. Cover page for resume provides additional information on your experience and skills to the employer and highlights the qualifications on your CV. A resume cover page tells your qualifications about you are applying for job and why you are available for this job. A strong cover page makes you a candidate for the job. 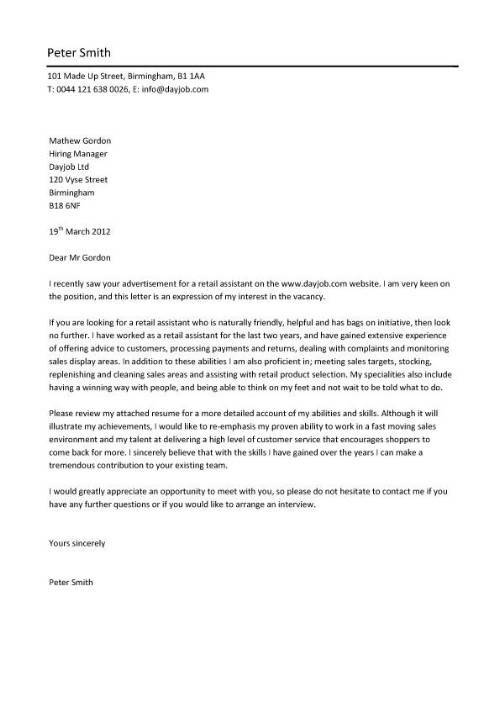 A successful cover letter leads to a meeting suit for the position. For this reason firstly, you gather some information about the company and the position. 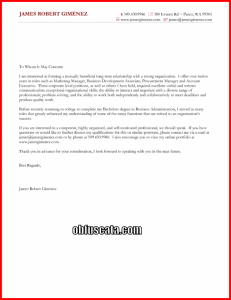 Then organize prepared cover letter templates on our site. So that you can get away with the other candidates. 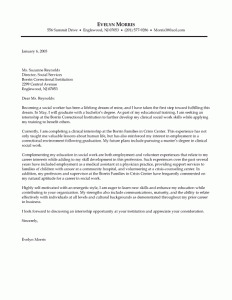 The cover letter is a one-page letter that should be part of the job application. Especially if it is not stated that you do not add a cover letter on your application, it will be your benefit to add cover letter to your CV. This will make you different from other candidates. Do not forget the cover letter should not be the same as your resume. Resume cover letter must be descriptive of your qualifications, skills and experiences. Do not write more than a page. Because this can get bored the reader. 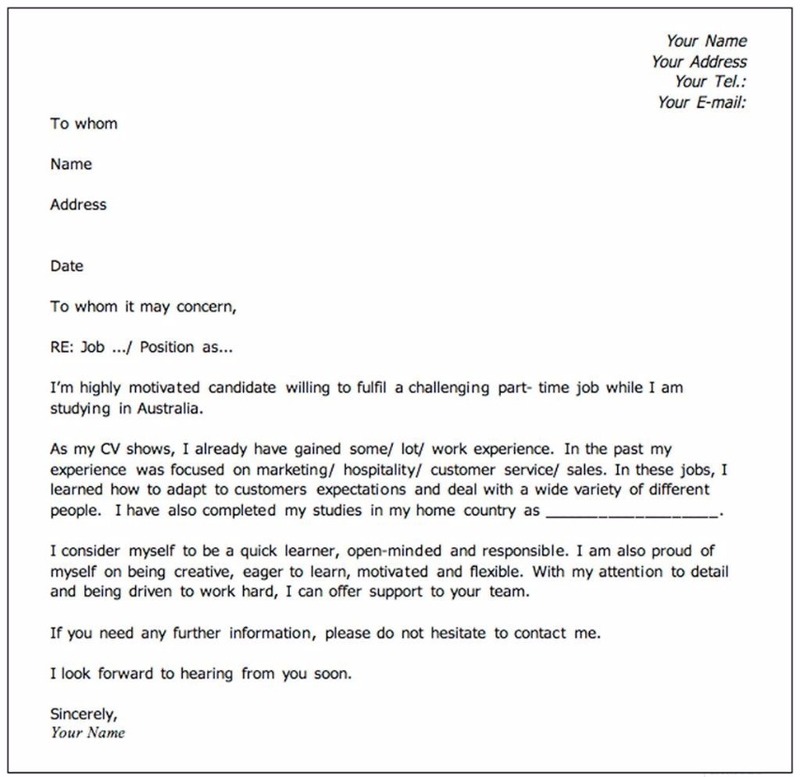 So you can create free cover letters by taking advantage of the ready-made cover letters templates on our site. 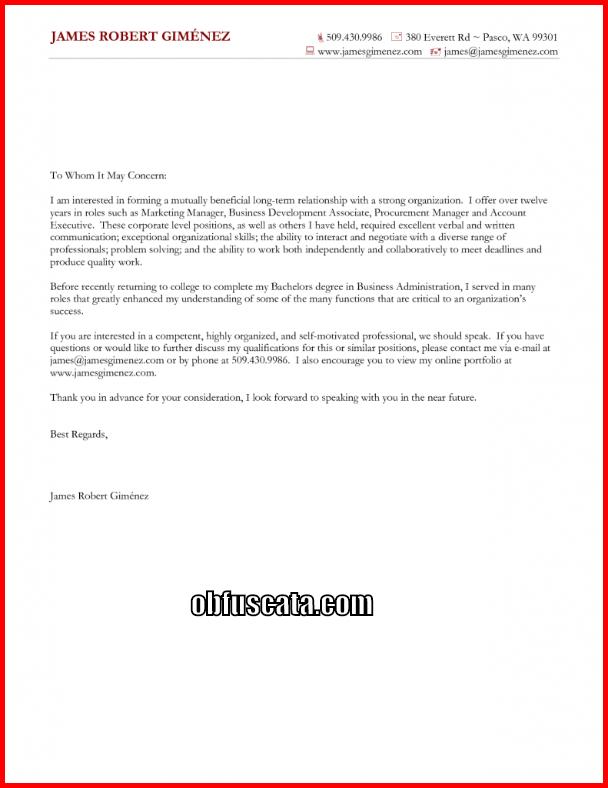 You get the ideal cover letter while saving time, by means of the services you offer our site. 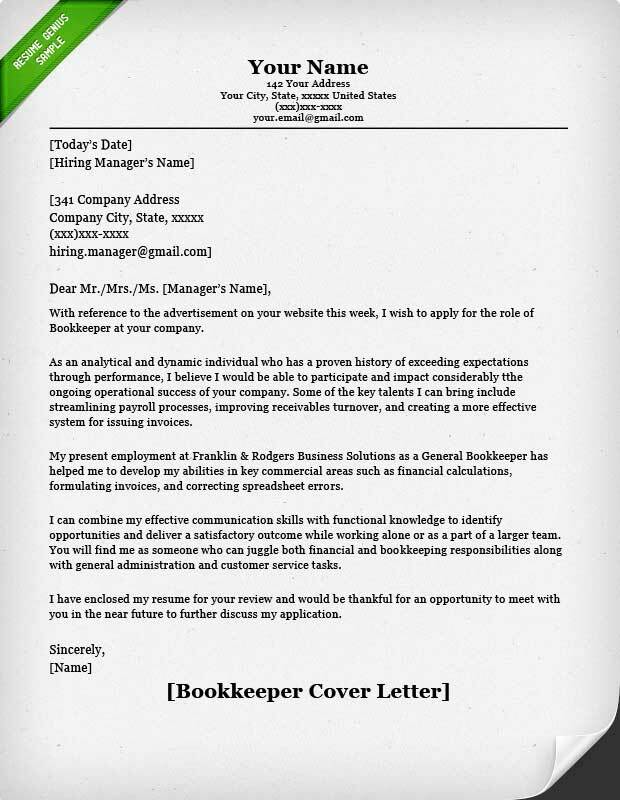 Cover letter is a field where your business experiences, skills and similar information are found in job processes. 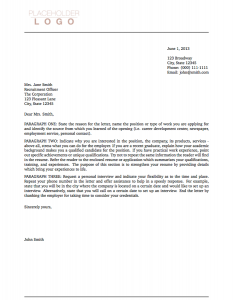 A cover letter must be original and reflect your personality. 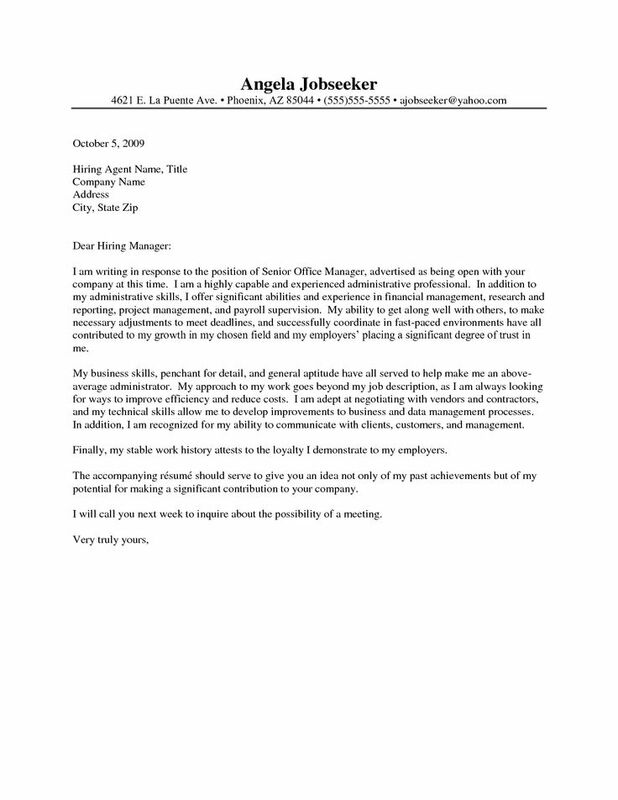 A good general cover letter will take you a step ahead in the job application process. The things that should be in a cover letter can be listed as follows. The prose must be written in accordance with the curriculum vitae. It should be free of unnecessary information and clear. Do not forget to say “my best regards” when finishing the writing. Let’s you create a free cover letter on our site. 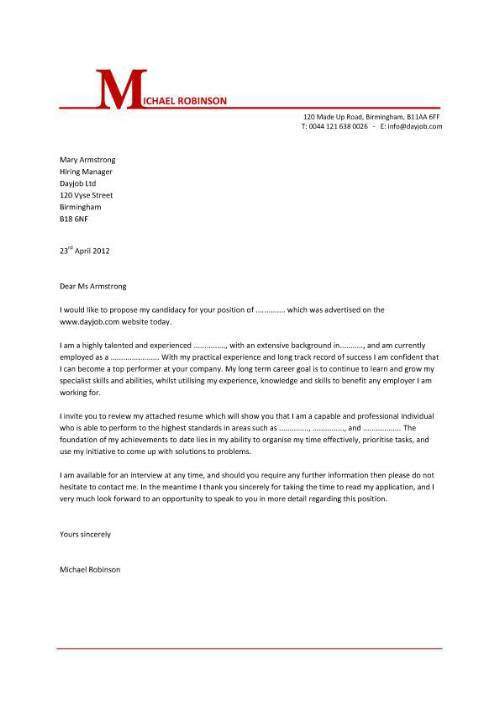 Cover letters are very important when applying for a job. The employer may eliminate the candidate who does not have a cover letter without examining his / her CV. But a cover letter can make you different from other candidates and bring you one step forward. This is the same for every profession. 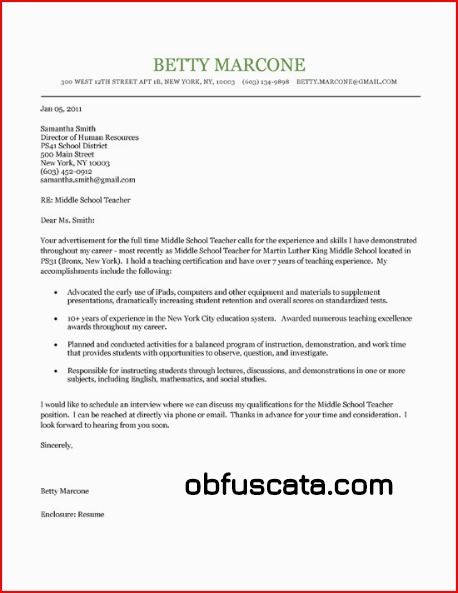 There is a separate cover letter template for the teacher and the accounting cover letter is separate. Although their basic characteristics are the same, there are minor differences. For this reason, be sure to include the cover letter in your accounting job interviews as you add the cover letter to your CV before going to each job interview. If you do not know what to write, you can create a free cover letter on our site. A cover letter is a document that gives you additional information about your skills and experience, along with your resume. A cover letter has to complement, not repeat, your resume. Great cover letters can help you get rid of your other candidates. What position do you apply for? Be grateful you for being taken into considered for the position. 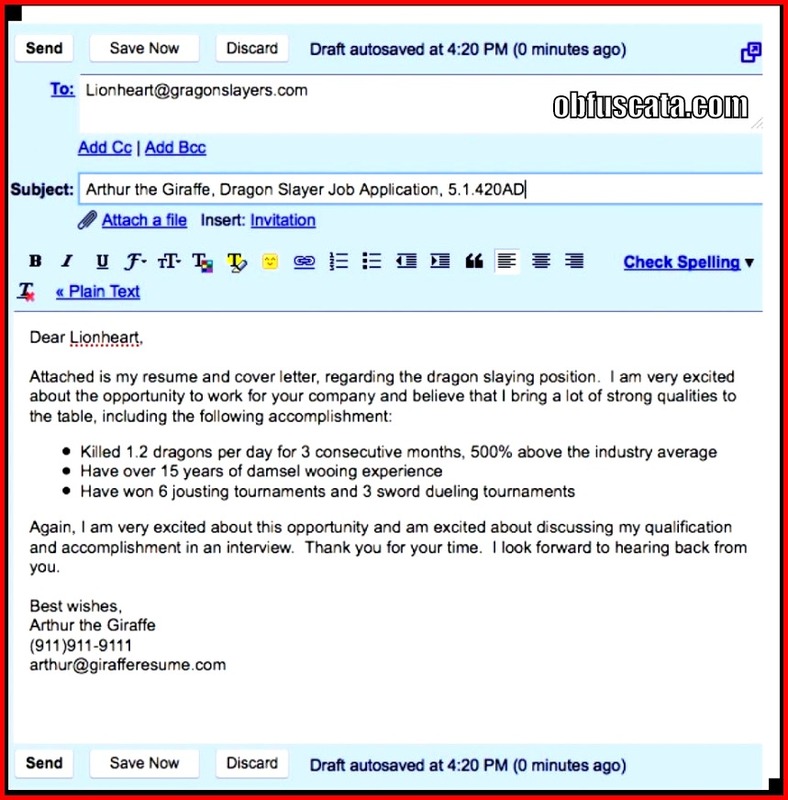 Let’s create your free Great cover letters to be accepted for a great job application. Cv is, that is mean curriculum vitae, very important for bussiness world. The bussinesman want to your Cv while you get a his or her jop. The cv is your bussiness ‘ idetify. The your Cv is personal so the boss is responsible to protect your Cv. There are many template for Cv on the İnternet. Our website include various templates for Cv and are free. You made yourself too. The templates for Cv are , examples education, jop ,personal information, hobbies and referances, macthless. 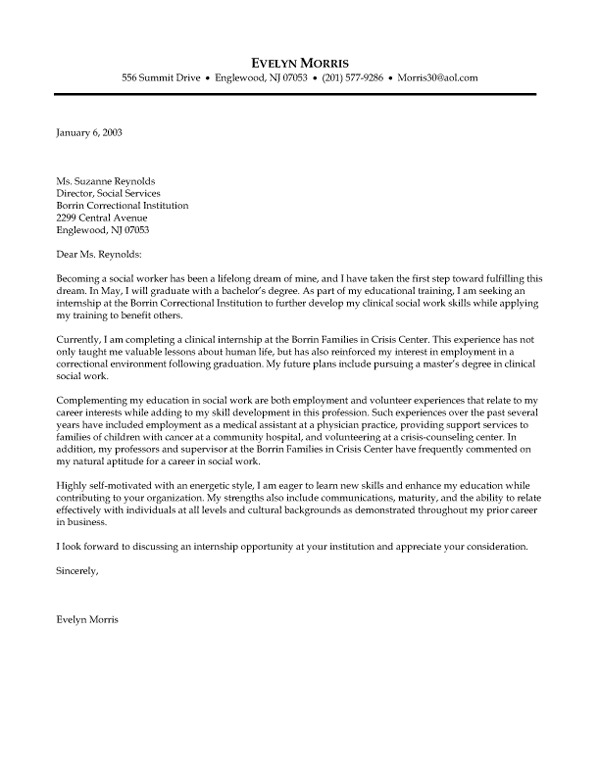 Education cover letter include the person’s education knownledges. The Cv for you education occur from the your high school and university documents. This include the person’s very much important information for your bussiness world. 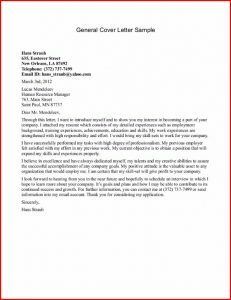 When you write a job application cover letter ,it is critical to write an appropriate cover letter for position and it must be remarkable. Especially you should take a glance at good samples and comply with grammar rules. 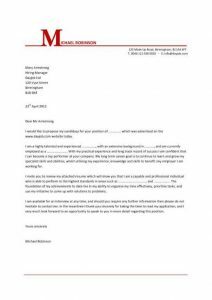 A good cover letter will bring you into the forefront among other candidates. 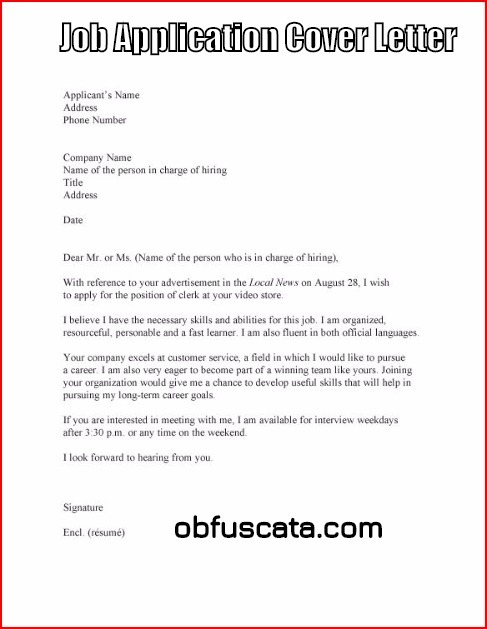 For getting idea how to write an appropriate cover letter , you can browse our site . You will be able find various cover letter samples for different skills and for different job applications on our site. These will help you preparing your cover letter . Also you can download pre-prepared drafts and edit your informations on them . 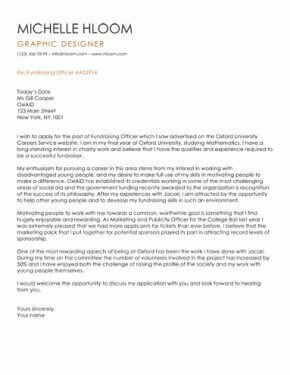 No longer It is not a big deal for writing a cover letter owing to our site. 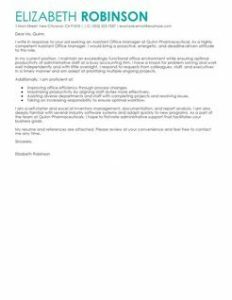 Internship cover letter is similar with normal cover letters. .Candidate should express why he/she apply the internship clearly. Additionally he/she should give his/her skills and informations full play about the job. 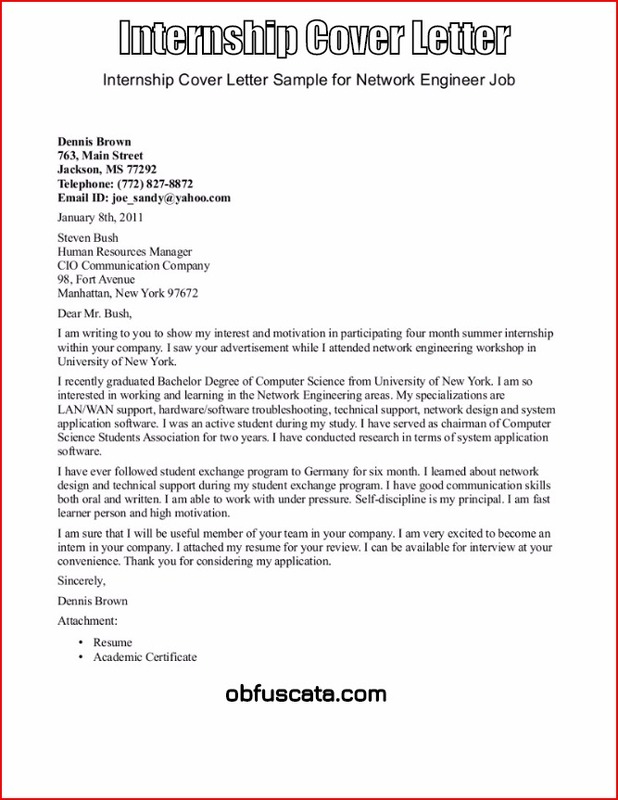 On our site you will be able to find internship cover letter samples for all kind of sectors . Also you will be able to find samples according to your skills and knowledge. By the help of various pre-prepared drafts you will be able to explain yourself better and make difference. For an effective writing you will be able get ideas how to write an intership cover letter by the help of the samples on our site. Examine the drafts on our site and get the chance of reaching desired results. So, you already have a successful, professionally written resume, which is joyful to look at! You hurry to send it quickly to the employer and then a new problem confronts you. 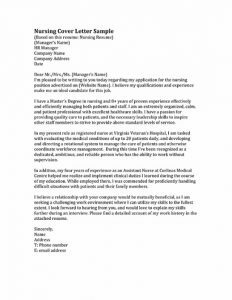 What should I write in the cover letter? Perhaps some will think that it is not necessary, because all the useful information is already contained in the resume. But this is a very dangerous delusion. 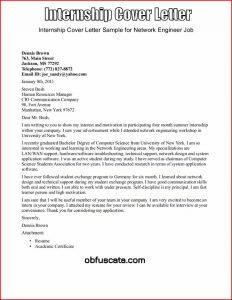 A cover letter is a short but capacious explanation of why you are applying for this job and why you should be preferred. You must use it to point out the aspects in your resume that are relevant to the job you are applying for. And do not worry if you do not have an experience writing it! We are here to help you. 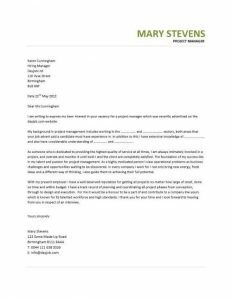 We have lots of good cover letter templates to save you time and effort. Grab one and get yourself to the interview! There are people thinking that cover letters are useless and no employers actually read it. But, it is our responcibility to make you sure that there are lots of evidences of a good cover letter making you get the internship you want. 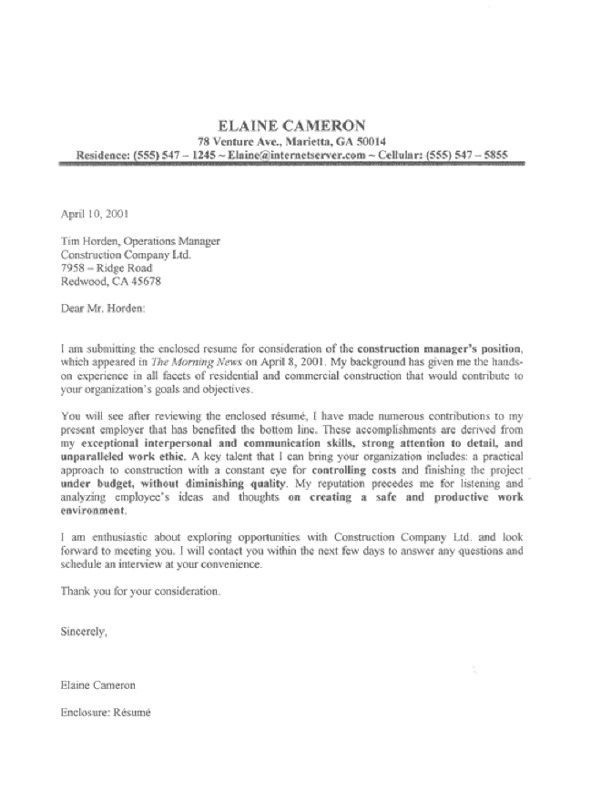 There are different types of cover letter sent for different purposes. Our website offers you free executive cover letters to help you get to the interview. 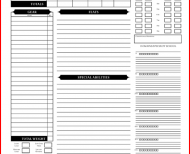 With these templates, you’ll learn how to write them, their write structure and format. You’ll send your cover letter in an appropriate style, so with that you’ll increase the chances of getting the position you want in shortest time possible. 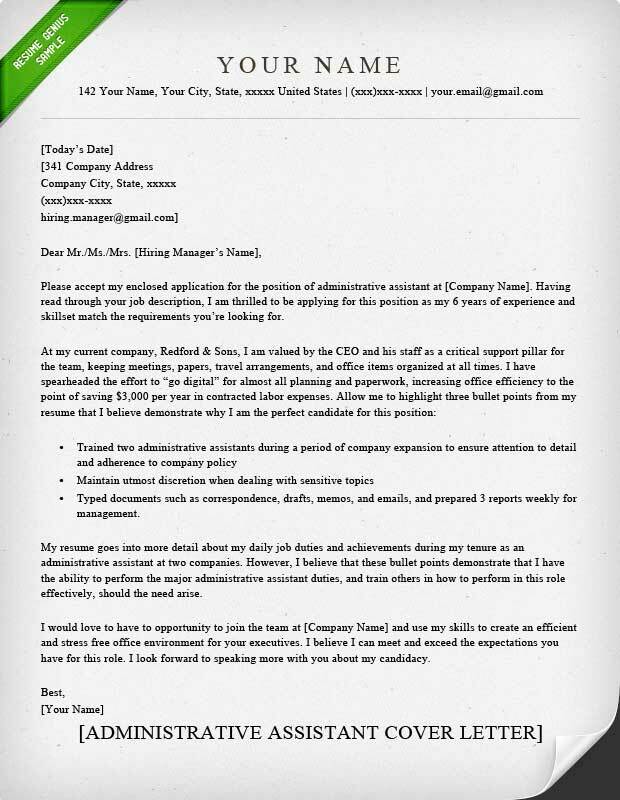 Pick up an executive cover letter template and make it your own, now! Do you need to write a cover letter? A cover letter is a good way to stand out against all of other candidates applying fort he same job. 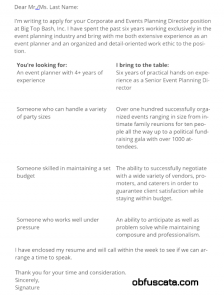 We offer you templates for all of these types and other job-specific cover letters. To personalize them, you do not have to have much of experience. That’s why we say it – our service is to save you effort and time, to help you understand writing business letters, their structure. Our templates are there for you free of charge. 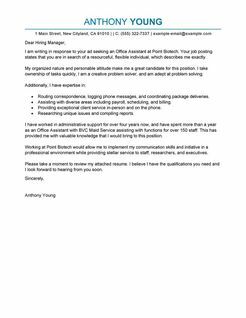 Choose the type of job resume cover letter template you want for your position and personalize it in just a few minutes! 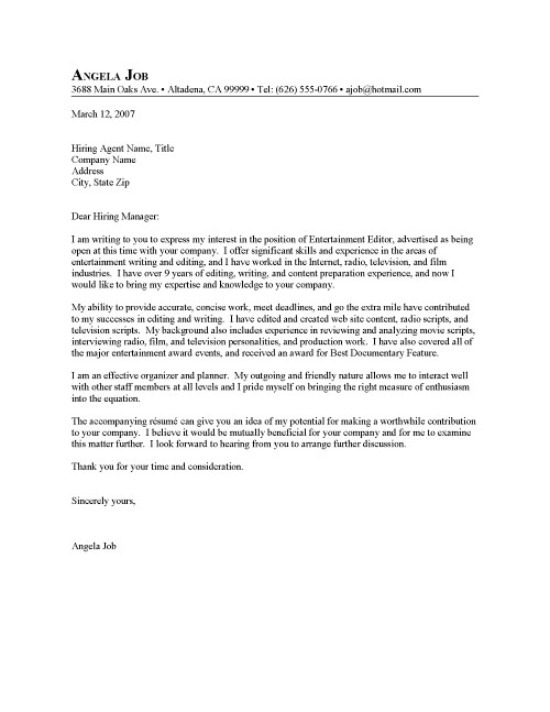 Are you in need of a cover letter that will get you to the interview? To be selected to almost any job you will have to write a cover letter, in other words, a letter of application. 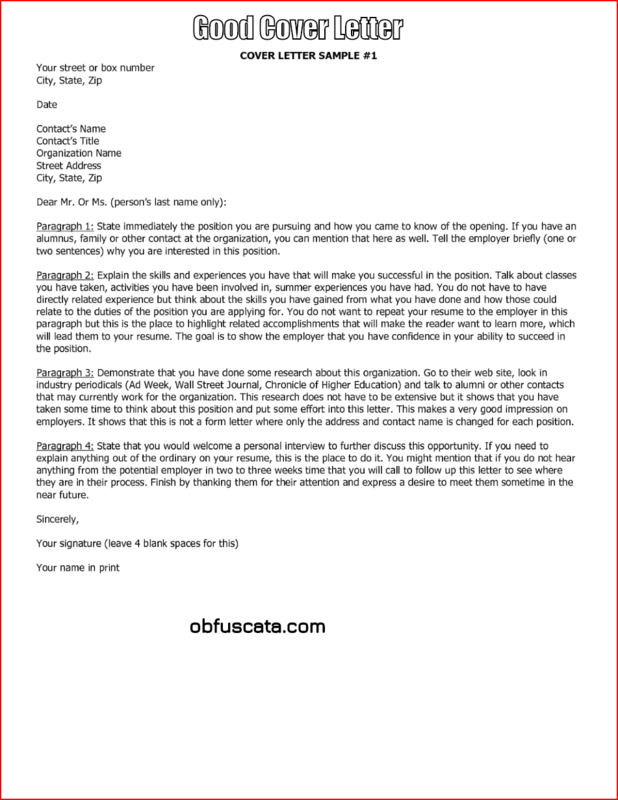 The cover letter is a tool to show why you want to get the specific job and why the employer should choose you instead of other people in the same line with you. This letter gives you a chance to provide additional details about your experiences and skills and is always sent with your resume. If you do not have an experience of writing one, do not worry! 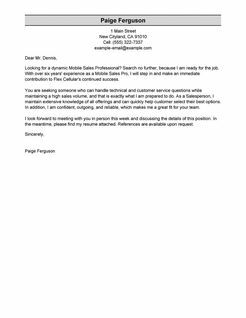 We offer free interview cover letter templates to help you with this process. Choose the templates that suits your position the best and personalize it! Are you a newly graduated nurse? Are you looking for a job, but do not know how to stand out before all of other candidates? What you need is an outstanding resume and a cover letter to it. You probably have heard of resumes, but what is a cover letter? 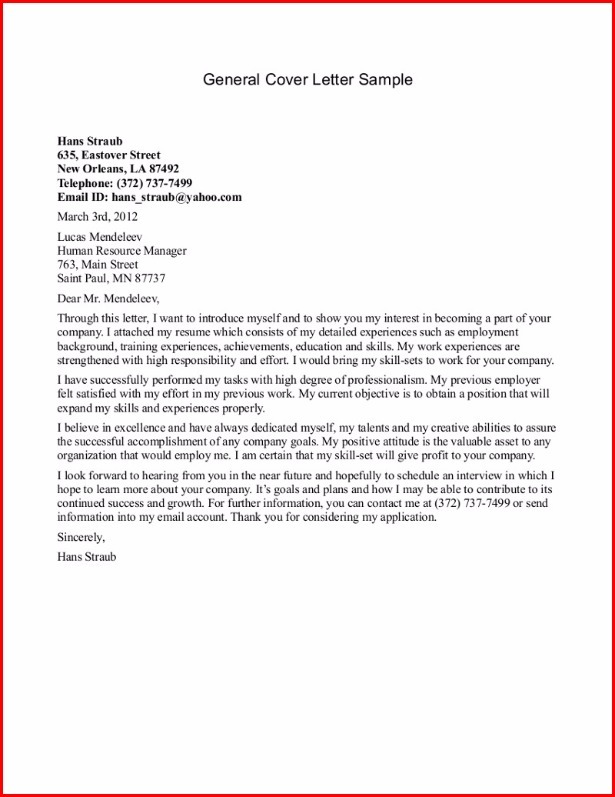 A cover letter is a way to present yourself to a potential employer. It is worth describing your qualifications, motivation and interest in getting a job so that the employer has a desire to invite you to interview. 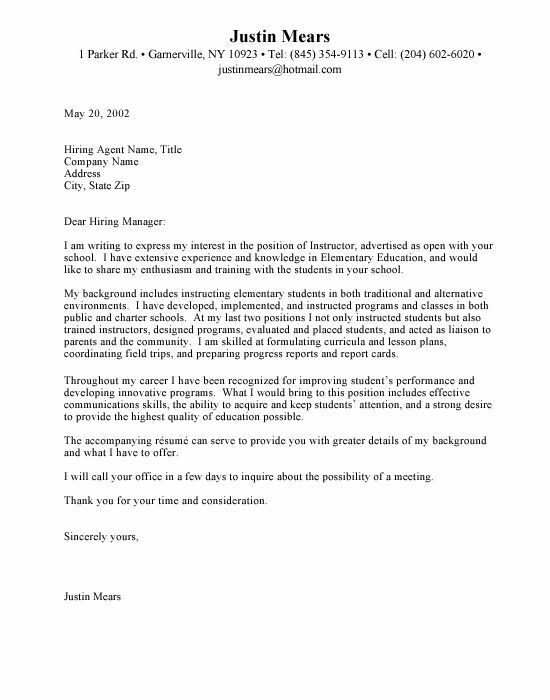 If you have newly graduated, you probably do no have an experience of writng cover letters. But no needs to worry! 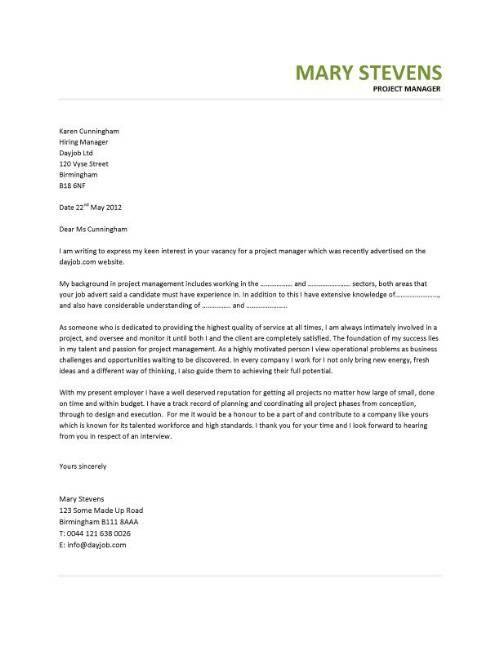 We have lots of cover letter templates to offer you. And all of them are free of charge. 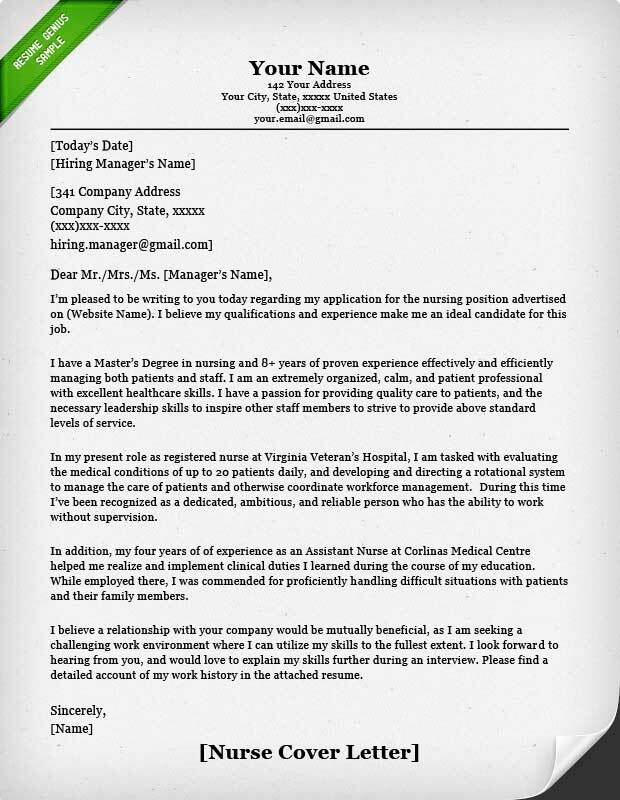 Next time, if you are in need of nursing cover letter, grab one and get your hands on work! 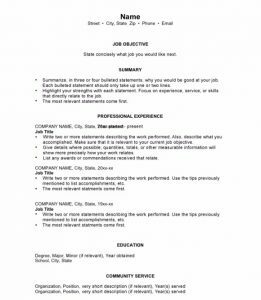 Have you heard of resumes? You probably have! Resume is a document compiled by you, which allows you to present your own skills and experiences, both professionally and personally. Resume is a description of a person’s abilities that make him competitive in the labor market. It should reflect the three basic qualities required of an employee: education, productivity and abilities. There are dfferent types of resumes written for different purposes. And chronological resumes are one of them! A chronological resume states your work experience in a chronological order, starting from the recent one. And there few other tips to it. With our ready-made templates for chronological resumes you won’t get stuck on their structure. The templates we offer to you will save you a lot of time and effort, get you a chronological resume of an appropriate format and will increase your chances of getting your dream job! 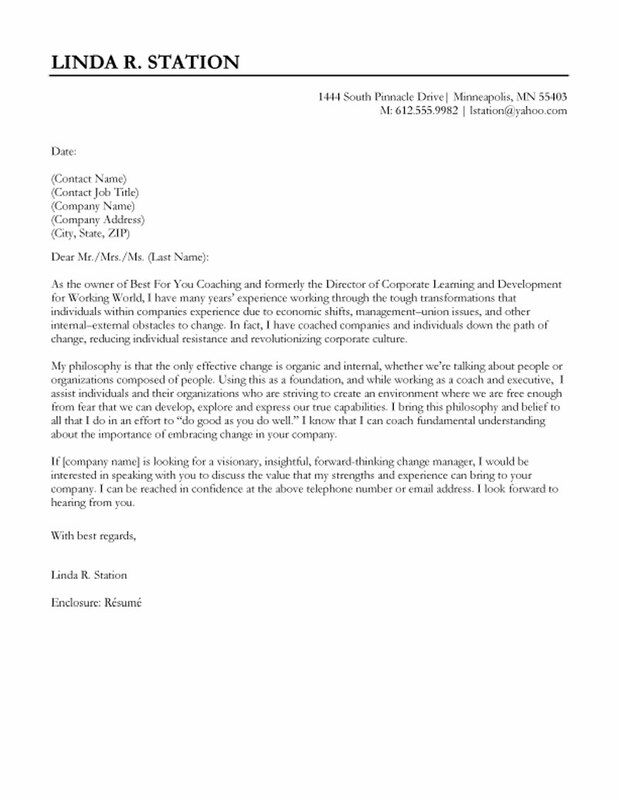 Cover letters are the formal way to introduce yourself to the employer on the other side of computer, to explain the reasons you think you are the best candidate and have to be selected. A cover letter is the better chance to get selected to the interview. That’s what we do for you! We offer you free cover letter templates with an appropriate structure and format for writing cover letter that will help you to get to the interview. 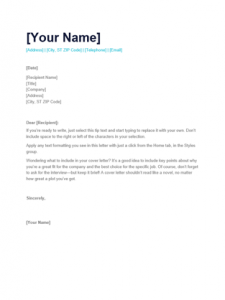 Choose a cover letter and personalize it now! Whenever a vacation is opened and the employer places an appropriate announcement, dozens of applicants respond to it. Personnel staff are very busy people and they do not have time to read all the CVs received. So how do they choose a candidate? Well, firstly, they look at what is written in the cover letter. What you wrote there and how you did it affects the decision of the recruiter. Have you not got an experience to write it? 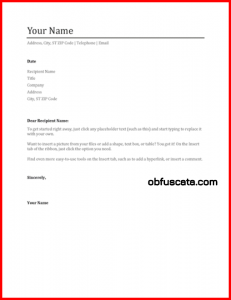 Our websites give you cover letter templates of you choice, and with that explains you the structure and format of it. We hope that with their help you’ll get to the interview! So, next time, you do not need to worry about the ways to make cover letter. Grab one from us and make it your own!